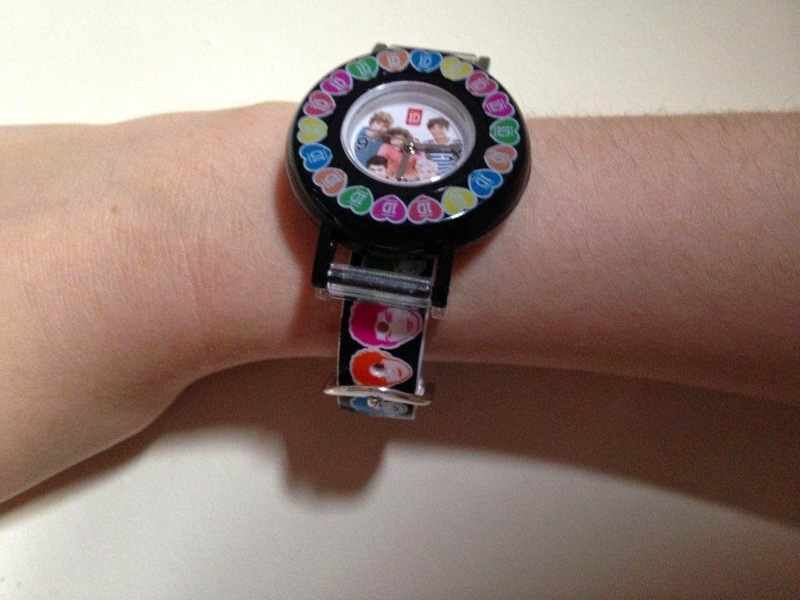 a One Direction Swap Watch! 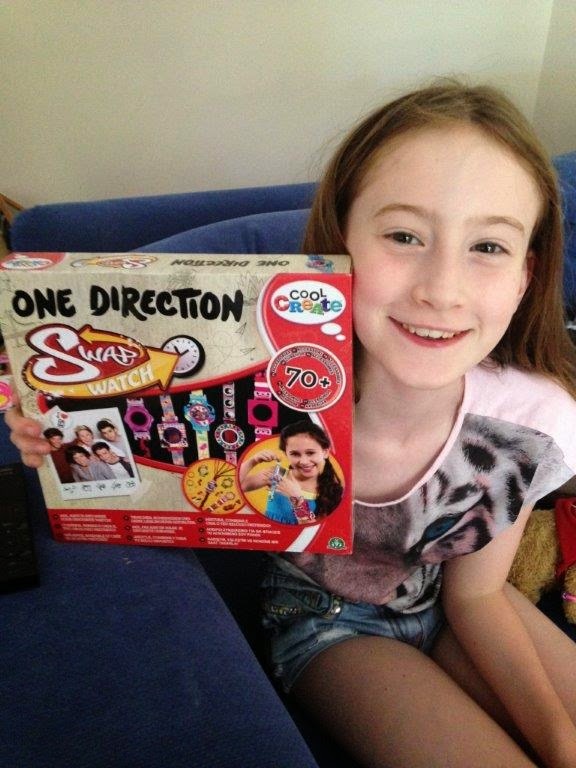 The box contains over 70 accessories, and the main piece is of course a watch face with a 'cute' picture of One Direction on it. 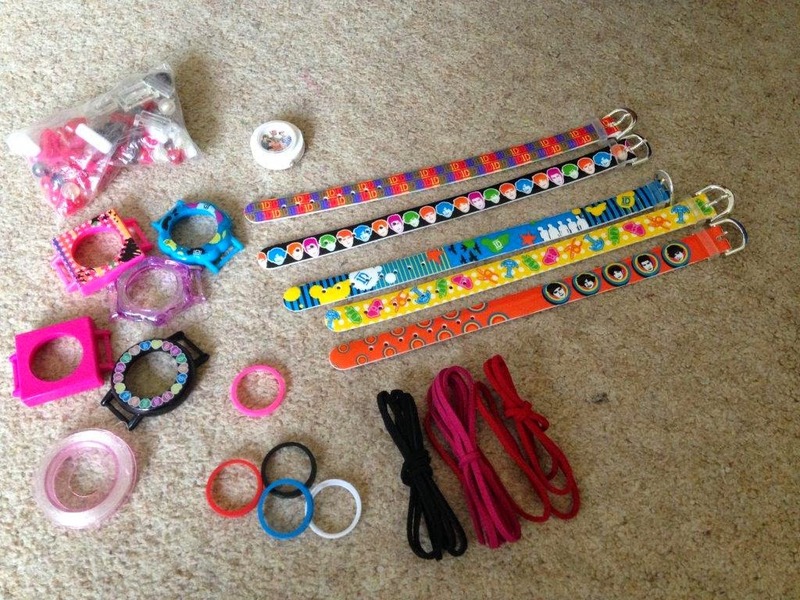 Then there are 5 different colour face trims, 5 different pattern and shape surrounds, 5 watch straps with various pictures and logos on, and plenty of coloured cord and beads to make alternative straps from. I lost count after about 10 different options but I'm sure there are many more than that. It's aimed at 7+ years, and I'd say this is about right unless you have a particularly crafty or patient younger one. Our 9 year old needed a bit of help to get started, but then I'll have to admit she is a little...lazy (shock, horror). The instructions are fairly basic, but most children should be able to put 2 and 2 together! After no time at all, Tamsin came up with this as her favourite. The best thing is that it can be gone back to time and time again (ha! excuse the pun!) to make new versions and freshen up every young girl's look! The packaging may be a little big for the contents, but I still think this is a great value kit - I don't think there are many good watches out there for less than £14.99. Try Flair for stock; I am sure this will be one product to make sure you get hold of in time for Christmas!